We are a full-service law firm, which offers a full range of legal services for both individuals and businesses, ranging from Merger & Acquisitions (private and public), Corporate, Capital Markets (ECM & DCM), Banking & Finance, Initial Coin Offering (ICO), Security Token Offering (STO), Cryptocurrency/Blockchain, Licensing, Smart Contracts, Tech Startups, Fund Formation, Intellectual Properties, Dispute Resolution/Arbitration, SFC Investigation, Data Protection, Privacy & Security, Competition Matters, General Commercial Matters, Escrow Services and Company Secretarial Services. 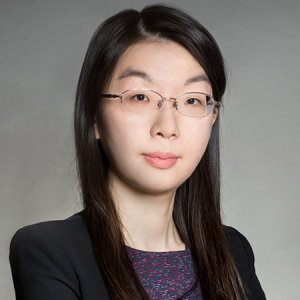 L & Y Law Office is in Association with Henry Yu & Associates, which has a particular focus on transactional and regulatory services for blockchain, cryptocurrency, fintech, virtual assets, initial coin offering (ICO), security token offering (STO) etc. Being a pioneer in the blockchain sector, we have advised on the very first public ICO in Hong Kong, and has been an industry leader in this ever-changing legal and regulatory climate. We provide unique insights to clients in the blockchain industry, whether they are considering to launch their own ICO or STO, developing businesses involving blockchain technology, cryptocurrencies and digital assets, setting up crypto fund, obtaining related license(s), or looking to invest in the sector. Staying at the forefront of legal developments in transformative blockchain technologies, we place special emphasis on confidentiality, individualized approach and innovative solutions. Through our professional presence in Hong Kong and our close and strong relationship with PRC law firms, we have the capabilities to provide one-stop legal services on cross-border issues, especially in the Guangdong-Hong Kong-Macau Greater Bay Area. Our team has international law firm backgrounds, extensive network and in-depth experience dealing with cross-border matters including corporate transactions, mergers and acquisitions, investment structures, debt and equity financing etc. 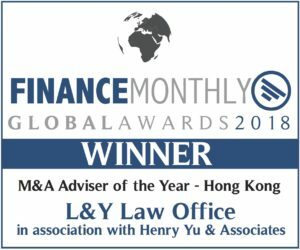 The Finance Monthly Global Awards is an annual award which recognises and recommends financial advisers and organisations from across the globe who have excelled in their work and have performed at the highest level possible. 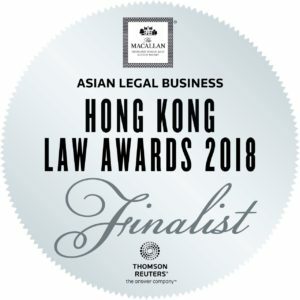 The Macallan Asian Legal Business Hong Kong Law Award, presented by Asian Legal Business (ALB) is one of the most prestigious awards in the legal industry which pays tribute to the outstanding performance of private practitioners and in-house teams from Hong Kong and the region. – Published by Global Legal Group Ltd. 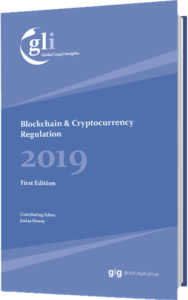 The first edition of Blockchain & Cryptocurrency Regulation 2019, published by Global Legal Insights, provides in-depth analysis of the developing arena of the regulation of blockchain and cryptocurrency. 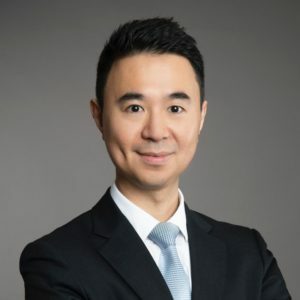 Our founding partner Mr. Henry Yu has written the Hong Kong chapter providing insight and analysis of issues including government attitudes and definition, cryptocurrency regulation, sales regulation, taxation, money transmission laws and anti-money laundering requirements, promotion and testing, ownership and licensing requirements, mining, and border restrictions in Hong Kong. 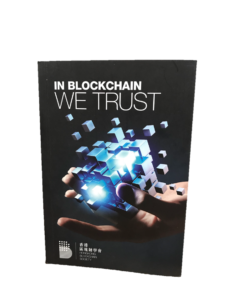 Our founding partner Mr. Henry Yu contributed to the book In Blockchain We Trust published by Hong Kong Blockchain Society Limited. In his article “Representation of Off-chain (Physical) Assets as On-chain Digital Tokens (e.g. 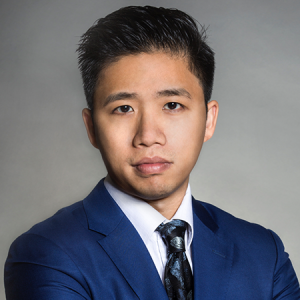 Tokenised Gold Buillions) and Recording Transactions on DLT Platforms, the Possibilities under Hong Kong Law”, he explained the possible application of blockchain technology as a way to securely record ownership of various asset classes and the legal implications of such technology. The materials contained in this website is to convey general information about L & Y Law Office and should not be relied upon as legal advice. It does not constitute or create an offer to represent you nor a lawyer-client relationship. L & Y Law Office does not sponsor, endorse, verify or warrant the accuracy or availability of the information found at external sites or subsequent links. L & Y Law Office accepts no responsibility for any loss, which may arise from reliance on information contained in this website.